Many small-to-medium sized group practices and DSOs operate using practice management software meant for a single practice. Many growing groups run on different practice management systems. Practice Analytics aggregates information from individual offices with different systems into a group wide view of the enterprise. The data then becomes agnostic to the source or system used across the organization. Practice Analytics can map several offices into regions and the regions are mapped toan enterprise or corporate level. SIGN UP FOR YOUR DEMO NOW! Group dental practices have a rich source of untapped information in their various practice management systems. Unfortunately, this information often remains hidden due to system incompatibility, mismatching reports, and employee confusion about what to even look for. Practice Analytics software for dental clinics data mines out that precious information to simplify how your group practice should be managed. Make the right decision for the health of your business, and get started today. The majority of dental practices that use a practice management system have no shortage of undiscovered data that could be better utilized and leveraged. This is especially true of practices with multiple locations attempting to manage all of their offices together using software designed to meet the needs of single-office practices, or with growing groups running different practice management systems. To successfully run more than one practice, you need a system that allows you to accurate measure each practice both individually and as part of your organization as a whole. At Practice Analytics, our online dental practice management software tools streamline the information found deep inside a practice to uncover data that can help multi-practice dentists better manage their all of their locations. We provide exceptional customer service and support, and will do everything we can to help your multi-practice business seamlessly integrate our system in each location. Successfully owning and operating a profitable dental practice takes time, energy, and money. Successfully owning and operating multiple profitable dental practices takes 3x as much time, energy, and money – it’s just that much harder! That's where Practice Analytics can help. 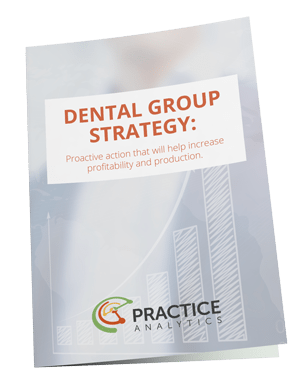 Get your FREE Practice Analytics Dental Group Strategy Whitepaper to learn how to successfully run more than one practice, how your practice measures up through three critical driving forces, and how dental practice data tells a story.